MSA 10154185 ALTAIR 2X Single gas monitor for the measurement and detection of Carbon Monoxide in Confined Spaces and other hazardous work environments. MSA 10154185 features a fluorescent, glow in the dark housing. 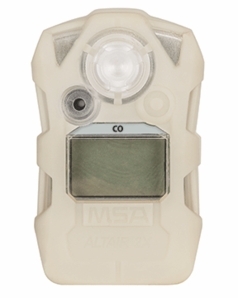 MSA Altair 2X single gas detectors offer a cost effective way to keep workers safe in hazardous working conditions like in confined space.